Gas Networks Ireland is part of Ervia, a commercial semi-state company responsible for gas and water infrastructure and services and the delivery of wholesale broadband solutions in Ireland. Gas Networks Ireland builds, develops and operates Ireland’s world-class gas infrastructure, maintaining over 13,832km of gas pipelines and two sub-sea interconnectors. Safety and a strong customer focus are at the heart of how the business operates, along with a commercial ethos, reflecting its responsibility for a major gas infrastructure that contributes to Ireland’s social and economic progress. Calor gas offers significant advantages as an energy solution for businesses in the food sector due to its cleaner burning and environmentally sustainable credentials. As it produces far lower carbon emissions than oil and electricity, it is one of the cleanest conventional fuels available. For businesses which are pro-actively aiming to reduce their carbon footprint, a switch from oil to LPG can have a huge impact. 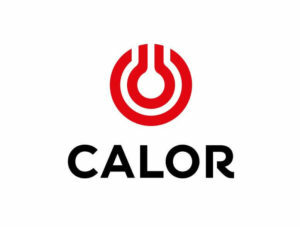 Companies can make the switch to Calor easily, and in many cases by a straightforward conversion of existing equipment. In the case of water heating, there are various highly efficient options such as direct-fired and also instantaneous water heaters which ensure that an ample supply of hot water is available as needed. As the leading provider of LPG to the Irish market, Calor understands that businesses are looking for the most economical and efficient energy solution available. Calor’s energy advisors can tailor energy solutions for business to help reduce energy costs over the long term and positively impact on carbon footprint.For further information or to speak to a Calor Energy advisor contact Calor on 1850 812 450 (ROI) / 028 9045 5588 (NI). Coillte provides long term, secure biomass fuel supply contracts to the industrial heat sector and can assist in the evaluation of the both technical and commercial viability of projects for large scale energy users. Coillte play a key leadership role in delivering sustainable biomass energy solutions to Irish industry and actively works with its customers to reduce CO2 emissions. Many clients have a global ambition to become carbon neutral across the value chain from sourcing raw materials to manufacturing, product use and eventual product disposal. Carbon neutrality can be achieved, through first reducing the value chain carbon footprint followed by pursuing carbon-offsetting strategies to reduce the net emissions to zero. With a focus on energy efficiency, installing a biomass boiler enables large energy users to use local biomass to produce steam to serve the production facilities while reducing emissions and helping to maintain competitiveness. Coillte operate several regional biomass supply hubs across the country that produce wood chip strictly in accordance with the quality specifications set out in I.S. CEN/TS 14961 : 2005. Coillte is committed to a strategy that matches local renewable energy requirements with local biomass supply and feed stock is sourced from both Coillte and private forestry plantations from the surrounding counties. With the introduction of the Renewable Heat Incentive (RHI), it is expected that demand for biomass for energy will grow across the industrial heat sector. Coillte has been firmly at the forefront of the bio-energy sector in Ireland, providing strong leadership in the area of renewable heat. Coillte has established local biomass supply chains by identifying and addressing the key barriers to industrial scale users of biomass. By providing long term, secure supply contracts, where clients pay per GJ rather than per tonne, Coillte has enabled significant investment decisions by key industrial partners, stimulating local demand for forest products, both Coillte and private. Over the last 4 years these investments have displaced >8m litres of fuel oil, saving >26k tonnes of carbon emissions, created new employment and underpinned the competitiveness of these export focussed industries. Coillte’s thought leadership and supporting analysis has directly influenced the recent Government decision to introduce a Renewable Heat Incentive next year. This will further transform the sector, stimulating new investment, jobs and market growth. Sirus are market leaders in Ireland for the supply installation & commissioning of building management systems, BMS or BEMS. Sirus also provides turnkey and maintenance solutions for HVAC systems across many different sectors. Sirus has seen huge growth over the last 10 years and now employs over a hundred people across the island of Ireland. If you need a high quality fully functioning building management system or need assistance with your HVAC systems, Sirus can help you. The team in Sirus keeps up to date with advances in technology to ensure that we can provide cutting edge technologies that will aid with the environmental performance of your building whilst also taking advantage of technologies that allow to user to reduce the energy consumption. Talk to us now about your requirements. Sungard Availability Services (“Sungard AS”) is a leading provider of critical production and recovery services to global enterprise companies. Sungard AS partners with customers across the globe to understand their business needs and provide production and recovery services tailored to help them achieve their desired business outcomes. Leveraging 35 years of experience, Sungard AS designs, builds and runs critical IT services that help customers manage complex IT, adapt quickly and build resiliency and availability. Visit Sungard Availability Services at www.sungardas.ie or call (+353) 01 467 3650. Connect with us on Twitter and our Blog.